Ok, the truth is it will never be done. 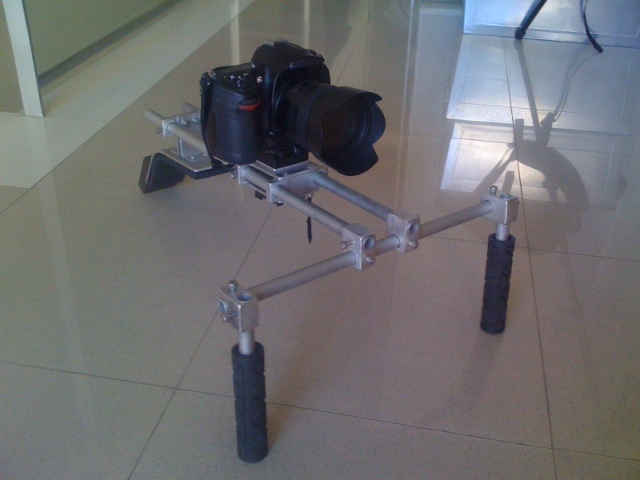 I have been thinking about building a DSLR rig for about a year but the problems was that my Nikon D300 does not shoot video so I saw no real point in it. 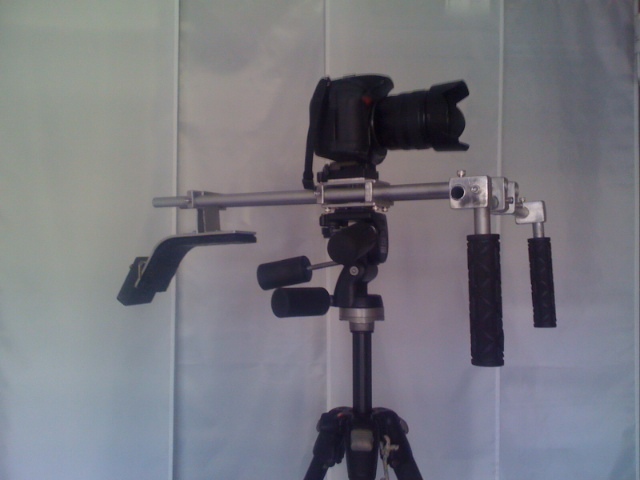 This all changed about a month ago when I got contracted to shoot a video for an organization. The director (Amanda) wanted to shoot as much as possible without a tripod. Voilà, I had my excuse to build and the obsession began. I am happy with the final product but each time I pick it up I think of ways to improve it or additions that could be made. I knew if I did not post a picture of it now I never would. So, this is the official unveiling.